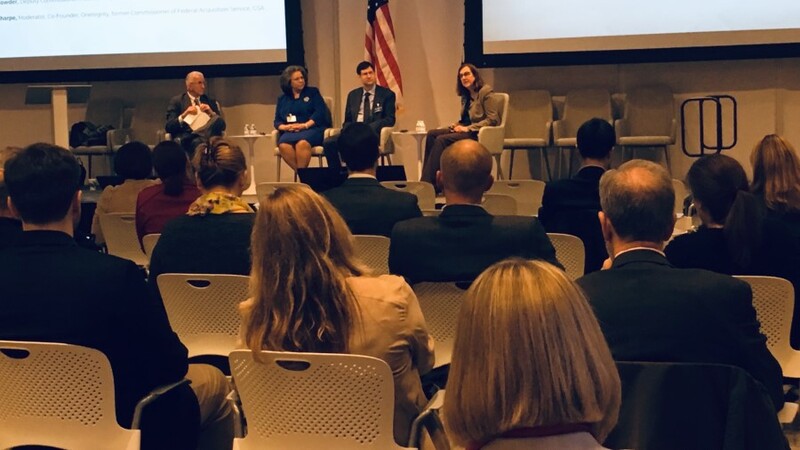 Yesterday afternoon FedHealthIT and G2X hosted several top Government acquisitions leaders for an event intended to allow industry an opportunity to better engage with Senior Federal Acquisition Executives and to hear how the rest of FY19 might shake out in lieu of the shutdown, how contractors can prepare, and what to look for in the years ahead. A big thank you to LMI for offering their beautiful facility to host this discussion. Prepare for the fast turnaround on proposals. 30-45 Days – No. Think 1-2 weeks. Expect to see less 5-year contracts – a short Period of Performance will be more common. Fixed Price contracts and line items will be on the rise as a way to hedge against future shutdowns. There will be more bridge contracts. Sole Source contracts will be on the rise. Have that as an option? Make it known. This is going to be a very busy run to September 30 and that date cannot and will not move. The comfort we took from this event is that while the shutdown did affect the timelines in a major way, these established acquisition executives were prepared, had contingency plans in place and they are ready to meet the demand.